SugarDaddie.com, established in the United Kingdom since 2002, has served its specific customers more than a decade. It has a sizable user base because of its long history. 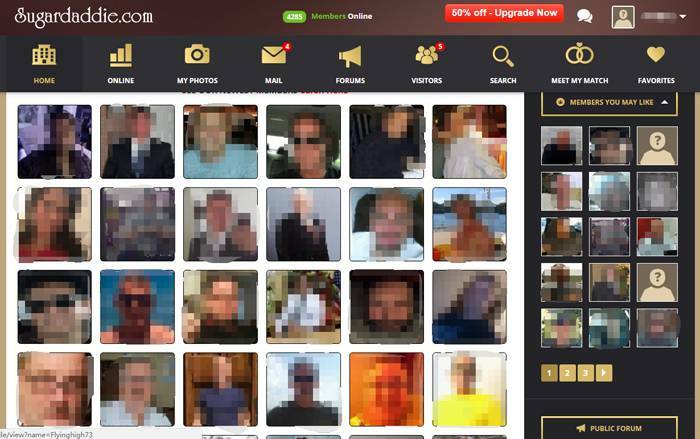 The site limits sugar daddy members to who earn more than $100,000 a year and live in the United States, Canada, the United Kingdom or Australia. In contrast, there are no restrictions for sugar baby while registering. Sugardaddie advertises that it is a high-quality dating site for attractive single women and successful men who have financial security and confidence. Then let’s check in details to get what you want to know and what you need to know. 15% OFF on any membership package for the next 6 hours only after registration. / Sometimes, 50% off for 1-month subscription. Sensitive personal information is not required to enjoy the site. Similarly, no financial information or personal details (including gender, age, location, and income) verification. Therefore, the privacy setting is very important. 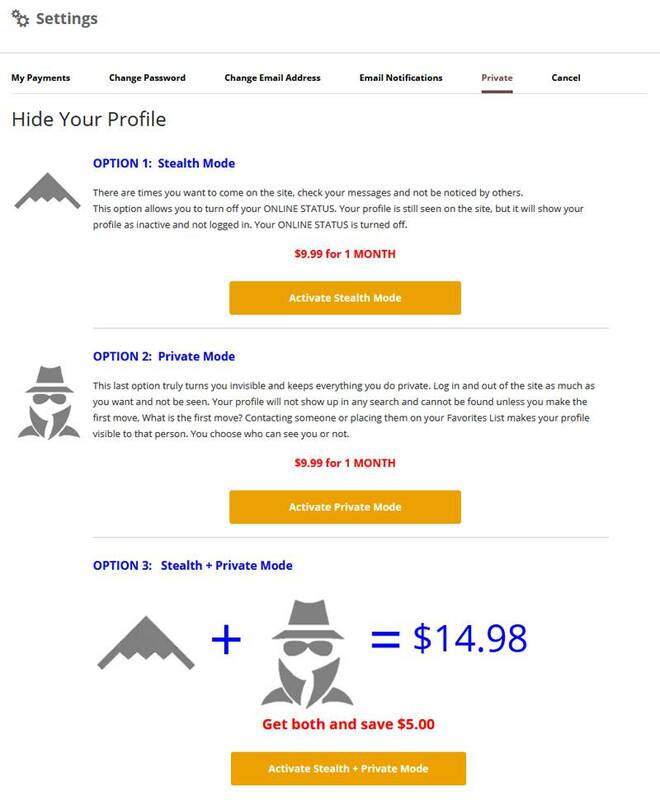 You can hide profile by choosing the following mode: Stealth Mode, Private Mode, and Stealth Mode + Private Mode. This option allows you to turn off your ONLINE STATUS. Your profile is still seen on the site, but it will show your profile as inactive and not logged in. Your ONLINE STATUS is turned off. This last option truly turns you invisible and keeps everything you do privately. Log in and out of the site as much as you want and not be seen. Your profile will not show up in any search and cannot be found unless you make the first move, What is the first move? Contacting someone or placing them on your Favorites List makes your profile visible to that person. You choose who can see you or not. PS: you need to purchase these private settings first before activation. First, we need to know that Sugardaddie.com dedicated to sugar daddy dating service for almost 16 years. It not only means that the site has been established for a long time but also it has a large user base. Certainly, sugardaddie.com is one of the most popular sugar daddy dating sites. Second, the site has achieved thousands of amazing success stories. It may encourage sugar daddies and sugar babies to try Sugardaddie.com. Third, the design of this site is a bit out of date. And there are no free contact features, such as sending winks, comments or any virtual gifts like other dating sites. However, some members don’t see it as a disadvantage, especially for sugar daddies. Because they can or at least they’re all willing to buy the premium membership. 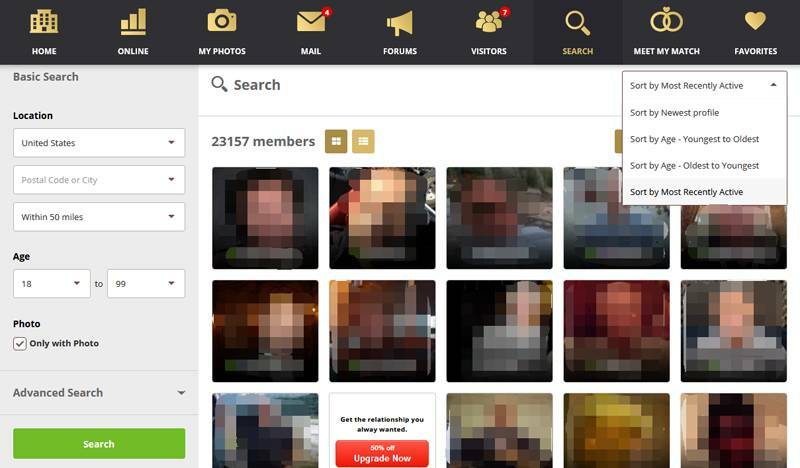 At last, the site claims that they have high-quality members. The sugar daddies here need to have at least $100,000 although it can’t be verified. The sugar babies here aren’t your typical money worshippers or anyone you can find on the street. Signing up on Sugardaddie.com might give you a better, and more exciting sugar baby dating experience.